Chhatarpur is a city and a municipality in Chhatarpur district in the state of Madhya Pradesh, India. It is the administrative headquarters of Chhatarpur District. Chhatarpur was founded in 1785 and is named after the Bundela Rajput leader Chhatrasal, the founder of Bundelkhand independence, and contains his cenotaph. The state was ruled by his descendants until 1785. At that time the Ponwar clan of the Rajputs took control of Chhatarpur. The state was guaranteed to Kunwar Sone Singh Ponwar in 1806 by the British Raj. 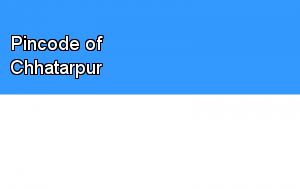 In 1854 Chhatarpur would have lapsed to the British government for want of direct heirs under the doctrine of lapse, but was conferred on Jagat Raj as a special act of grace. The Ponwar Rajas ruled a princely state with an area of 1,118 square miles (2,900�km2), and population of 156,139 in 1901, which was part of the Bundelkhand agency of Central India. One woman was lying in a room with blood oozing from the throat and a man was found hanging from the ceiling fan.